Yet this is precisely what’s happening, at momentous levels, as documented by a new study, published last February 15, in the highly prestigious journal Science. The study, “Volatile chemical products emerging as largest petrochemical source of urban organic emissions,” is authored by Brian C. McDonald of the Cooperative Institute for Research in Environmental Sciences, University of Colorado, Boulder and the Chemical Sciences Division, NOAA Earth System Research Laboratory, and a group of collaborators. Good summaries can be found in the New York Times and Science Daily. To be clear: the authors found that even though petro-chemically-derived VOCs from consumer and industrial products form only a fraction of the mass of emissions – a mere 4%, as illustrated in the pie chart below – consumer products alone produce 38% and industrial products (pesticides, glues, paints) produce 15%, for a grand total of 53% of smog-forming emissions. Again: Chemical products contribute as much or more organic air pollution as transportation emissions in many cities, and are much more toxic in their power to create smog than those of vehicular origin. Have we got your attention yet? Smog kills. Now, these findings are not a surprise to people with chemical sensitivities, who have been getting increasingly sick walking their neighbourhoods and fleeing cities in droves. Nor are these finding a surprise to scientists who have been raising the alarm about the toxic contents of so many of these common household products for such a long time. But to those who have not given any thought to this issue, or who considered it overblown or even denied this analysis of common chemicals, discovering how these toxic VOCs punch so far above their weight in creating illness-producing smog has been a great, unanticipated shock that sent a seismic wave across the U.S. – and, hopefully and eventually, the world. Interestingly, though anti-toxics advocates have been sounding the alarm about the adverse effects of these common chemicals for years, this clamour was actually not the factor that spurred the smog study. Rather, atmospheric scientists and officials were driven to solve a real mystery: why was smog continuing to form at dangerous levels in Los Angeles – their original target city – despite significant reductions in vehicular emissions due to stricter controls over several decades? So McDonald and company went ahead and did just that. They analyzed the air and the components of the smog, and BINGO! They found that the VOCs anti-toxics advocates have been identifying as so hazardous, straight up, are also exceptionally toxic as smog agents. Smog is highly toxic to humans and can cause severe sickness, shortened life or death. It causes hundreds of thousands of early deaths in the US annually and costs Canadians $36 billion a year. Since smog has long been understood and officially accepted as a serious public health threat that must be reduced or eliminated, as the proper mandate for many existing government offices and departments, for laws and controls, the identification of consumer-product VOCs that contribute so greatly to smog should – we fervently hope – grab the attention of officials and institutions and focus it on common chemicals. And it should quickly point to the need for public policies that can reduce the contribution of those VOCs – and hence the chemicals that produce them. The jury is in: between the harm these products are doing to us indoors and unadulterated, and outdoors, cooked by the sun and turned into smog, it is more than time for our politicians to wake up and implement tried and true solutions. The Environmental Protection Agency has classified 1,4-dioxane as a likely human carcinogen and it is listed in California’s registry of chemicals known to cause cancer. In laboratory studies, animals who drank water with 1,4-dioxane developed tumors in the liver, nasal cavity, and the peritoneal and mammary glands. Short-term exposure to relatively high amounts of 1,4-dioxane is particularly damaging to the liver and kidneys. 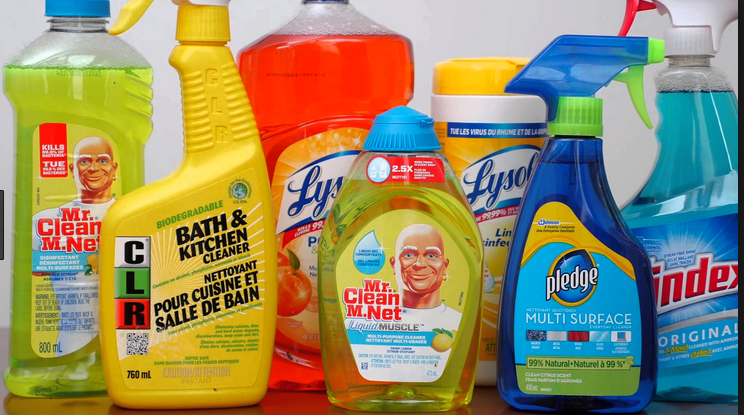 Because manufacturers don’t have to disclose the presence of 1,4-dioxane on product labels, there’s no way for consumers to know if their personal care or other household products harbor the hidden carcinogen. Among the products marketed for use on children and babies that may contain 1,4-dioxane are popular sunscreens, toothpastes, bubble baths and shampoos. Bipartisan legislation introduced by Sens. Diane Feinstein, D-Calif., and Susan Collins, R-Maine, would give the FDA the power to review dangerous chemicals like 1, 4-dioxane. The bill would also require personal care companies to alert the agency when their products injure consumers, and would give the FDA the power to recall dangerous products. Slow Death by Rubber Duck: The Secret Danger of Everyday Things. The Body Toxic: How the Hazardous Chemistry of Everyday Things Threatens our Health and Wellbeing. Websites, researhers, and anti-toxics organizations and many more resources can on this site, be found in the “Where to Learn More” section of the “Greening Our Chemical Footprint” page. apply the same approach to consumer chemical smog as we do to traffic emission smog: Reduce it at the source. In the United States and in Canada, governments agreed long ago that individual and voluntary solutions were useless when it came to smog control and that legislation and policy to achieve social solutions were the only way to go. Reducing vehicular – “tail pipe” – emissions, by law, such that manufacturers were obliged to improve the emissions technology of their vehicles was a fundamental decision – and improvements on emissions, including shifts to electric vehicles – continue to be mandated by law. In addition, on the social scale, came closings in many jurisdictions of coal-fired power plants and, in many Canadian provinces and municipalities, banning the cosmetic use of pesticides – a less than adequate, but still major step to improving air pollution. The principles – legislated mandatory requirements – and the steps – to down-regulate and eventually eliminate identified toxic chemicals – that we took with vehicular emissions we now need to take with consumer chemicals. We should already have acted with the identified culprits long ago, when we understood how harmful they were even without any input from the sun, or interaction with other materials. But if we did not then, now there is no further excuse. Plain language, full-disclosure labeling of all products, to show the health effects of the chemicals used, must become the law. With such labeling, there will be massive market rejection, enough to create monetary incentives to drop the toxics. Strict health-related legislation to eliminate classes of identified toxic consumer chemicals – this is the co-terminus second step, accompanied by public subsidies to help develop alternative, benign chemicals where needed. Can we all send our politicians a message to get the lead out – figuratively and literally? There is no more time to waste, that is the import of the McDonald/NOAA study. Transport-derived emissions of volatile organic compounds (VOCs) have decreased owing to stricter controls on air pollution. This means that the relative importance of chemicals in pesticides, coatings, printing inks, adhesives, cleaning agents, and personal care products has increased. McDonald et al. show that these volatile chemical products now contribute fully one-half of emitted VOCs in 33 industrialized cities (see the Perspective by Lewis). Thus, the focus of efforts to mitigate ozone formation and toxic chemical burdens need to be adjusted. A gap in emission inventories of urban volatile organic compound (VOC) sources, which contribute to regional ozone and aerosol burdens, has increased as transportation emissions in the United States and Europe have declined rapidly. A detailed mass balance demonstrates that the use of volatile chemical products (VCPs)—including pesticides, coatings, printing inks, adhesives, cleaning agents, and personal care products—now constitutes half of fossil fuel VOC emissions in industrialized cities. The high fraction of VCP emissions is consistent with observed urban outdoor and indoor air measurements. We show that human exposure to carbonaceous aerosols of fossil origin is transitioning away from transportation-related sources and toward VCPs. Existing U.S. regulations on VCPs emphasize mitigating ozone and air toxics, but they currently exempt many chemicals that lead to secondary organic aerosols. Stephens noted that proposed budget cuts to the Environmental Protection Agency loom large in this context, because the agency conducts much relevant work on atmospheric chemistry and air quality. 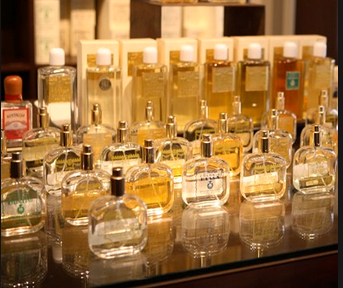 The new study …focused on volatile organic compounds, or VOCs, that are derived from petroleum. These are a diverse array of hundreds of chemicals that easily vaporize and make their way into the atmosphere. Some VOCs can be harmful when directly inhaled — molecules released by bleach and paint make people lightheaded, for example. Beyond their immediate effects, VOCs react with other molecules in the air, such as oxygen and nitrogen oxides, to generate ozone as well as fine particulate matter. (Those nitrogen oxides come, in large part, from vehicle exhaust.) High levels of fine particulate matter, or soot, make it hard to breathe and contribute to chronic lung problems (SN: 9/30/17, p. 18). And while ozone high in the atmosphere helps shield earth from the sun’s ultraviolet radiation, at ground level, it mixes with fine particulates to form breath-choking smog. Over a period of six weeks, the researchers collected air samples in Pasadena, located in the notoriously smoggy Los Angeles valley. They also evaluated indoor air quality measurements made by other scientists. The team traced the molecules found in these air samples to their original sources using databases that show the specific volatile organic compounds released by specific products. 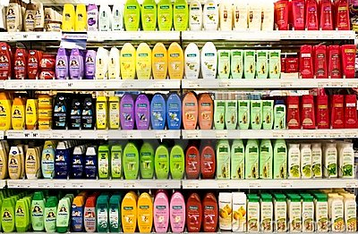 Consumer products that emit VOCs have an outsized effect on air pollution, the team found. By mass, people use about 15 times more gasoline and diesel compared with products ranging from soaps, shampoos and deodorants to air fresheners, glues and cleaning sprays. And yet these everyday products were responsible for 38 percent of the VOC emissions, the researchers found, while gasoline and diesel emissions accounted for only 32 percent. Consumer products also contributed just as much as fuels to chemical reactions that lead to ozone and fine particulate matter. The emissions from consumer products also dwarfed those from the production of oil and gas, called upstream emissions.